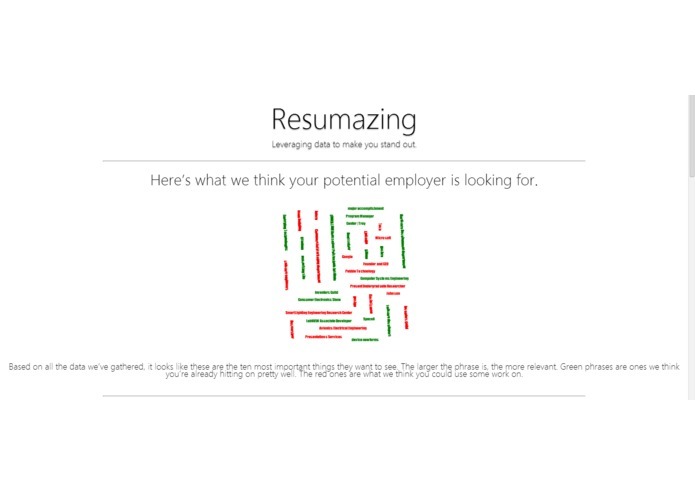 Resumazing is a web service which determines the skills your ideal employer is looking for, and allows you to leverage that information in the job-hunting process. 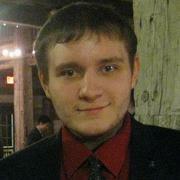 Every day, numerous individuals spend hours applying to companies and looking for gainful employment. By far, the majority of these applications are submitted electronically, either through popular job-search sites such as Monster.com, or through the targeted companies' individual websites. Though this process helps thousands of resumes hit corporate systems, few of them will ever be seen by human eyes on the hiring end. The reason for this is that many of these companies implement an automatic filtering system that monitors the resumes they receive. These filters check every resume for a series of key words which the employer has deemed relevant to the job at stake. For example, IBM might be looking specifically for terms like, “Fourier analysis” when looking for electrical engineers. Resumes are scored based on the prevalence of these key words, and only the resumes with the highest scores make it past the screening. 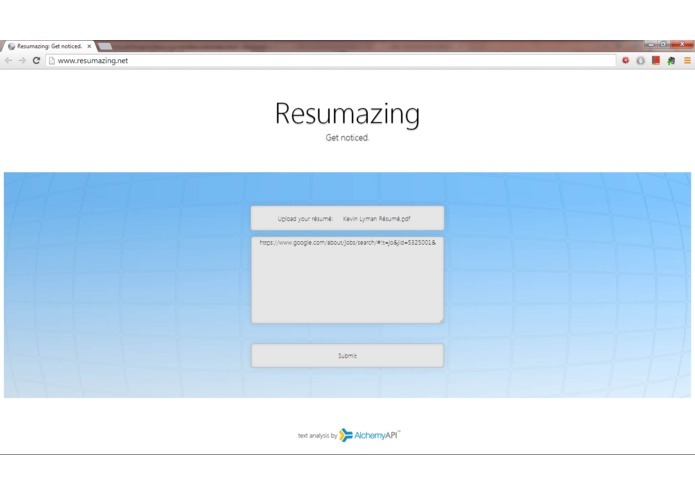 Resumazing is an online service which allows you perform this analysis on your own, before submitting your application to the harsh and judgmental robots standing between you and your dream job. By leveraging the AlchemyAPI, Resumazing performs natural language processing and sentiment analysis on two things: your resume, and the description of the job you’re targeting. It then assigns you a rating based on your chances of passing the automated screen with your current resume, and provides you with a series of visualizations which explain the source of that rating. One visualization shows you the core concepts we’ve extracted from the job posting, and colors them based on how strongly you’ve matched them. Another visualization shows you the core concepts we’ve extracted from your resume, and colors them based on how much we think these concepts will help you in the application process. 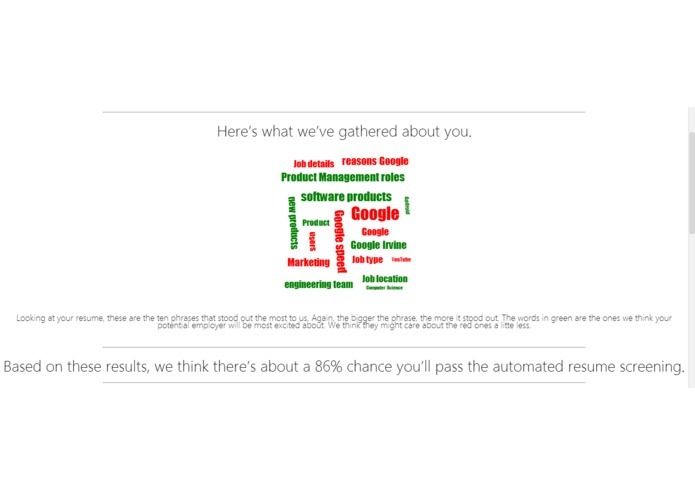 The information conveyed by these visualizations can provide you with valuable insight that can help you get noticed when you decide to apply for that job. In addition to the core service outlined above, Resumazing is constantly crawling job application websites and performing this same analysis on descriptions of hundreds of jobs with hundreds of employers. This information is used to cluster companies based on similarities between what we’ve inferred to be their core values. 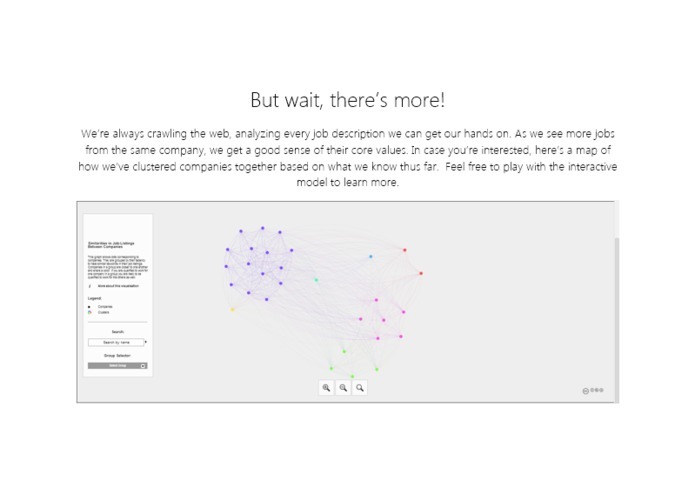 A third visualization presented to you when you give us your resume rates you against each of these clusters, and tries to tell you where you might fit the most against all the data we’ve gathered by the time you’ve entered www.resumazing.net.